BELLVILLE — On the baseball diamond, head coach Joe Staab has some rebuilding to do. Staab has to replace 11 players from last year’s 20-7 team and they return just four starters. But his rehab project is off to a good start. The Colts won their delayed season opener Monday night, beating Loudonville 10-8 in a non-league tilt. Senior catcher AJ Blubaugh returns. He hit .264 last season with 14 hits and five stolen bases. He has committed to the University of Wisconsin at Milwaukee. Mitch Dulin is returning from injury and will play first base when he’s not pitching. Dylan Jewel mans third base. He hit at a .431 clip with 25 hits and 17 RBI while stealing nine bases.Two outfield spots are secure with Caden Flynn in center and Brad Johnson in right. Flynn hit .269, scoring 10 runs and stealing 10 bases. Johnson hit .289 while scoring 12 runs and stealing six bases a year ago. Dulin, Jewel and Johnson will handle the bulk of the starting pitching for the Colts. Staab says his team must “play quality defense behind a talented pitching staff” and eliminate mistakes to find success. As is often the case when it comes to spring sports, teams already are dealing with weather issues. 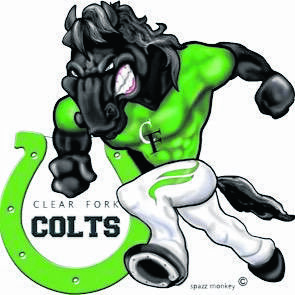 The Colts’ season opener — a doubleheader at Hiland, was cancelled Saturday. On Monday, the Colts were to play host to Loudonville. on Tuesday afternoon, Shelby was supposed to come to Bellville, and the Colts were supposed to play in Shelby on Wednesday.